See guest artists Jeff Zimmerman and James Mongrain during a live, narrated demonstration in the Amphitheater Hot Shop on April 7 from 10 am to 12 pm. Watch as Zimmerman and Mongrain work together to create a new blown-glass sculpture using various forms of cane. Watch on cmog.org or The Corning Museum of Glass Facebook page when the event is live. Zimmerman’s work exploits the pushing, pulling, dripping, and spinning actions that glass goes through as it takes shape, resulting in work that echoes nature. Mongrain takes his inspiration from traditional Venetian goblet-making. 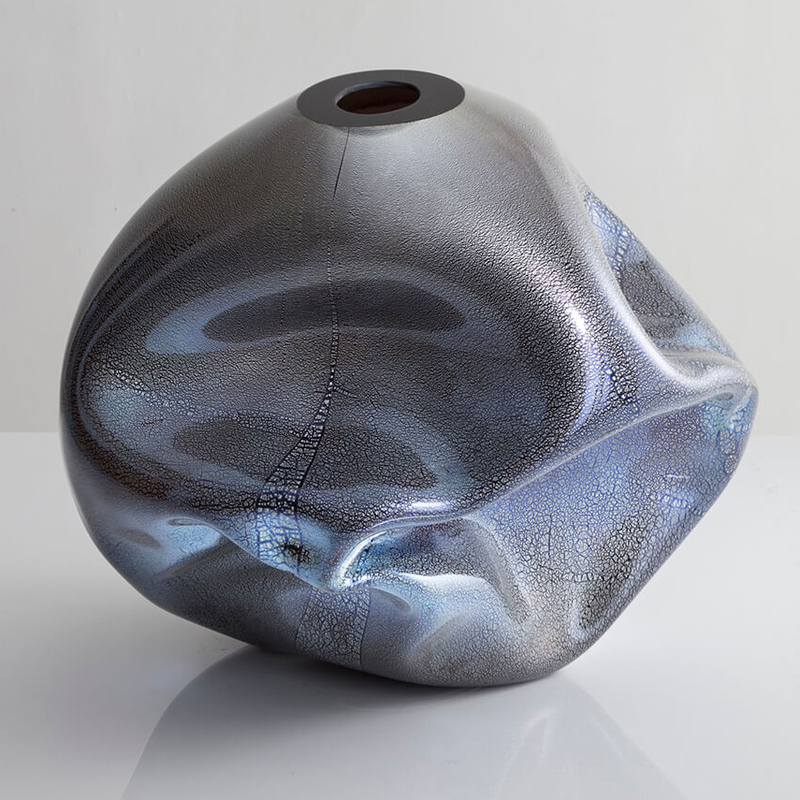 Over the course of his career, he has focused on creating elegant vessels of many shapes, sizes and colors. Zimmerman and Mongrain have wanted to collaborate for a long time and will use this opportunity to pay tribute to their teachers in the Venetian tradition as well as the modernist abstraction that they create.